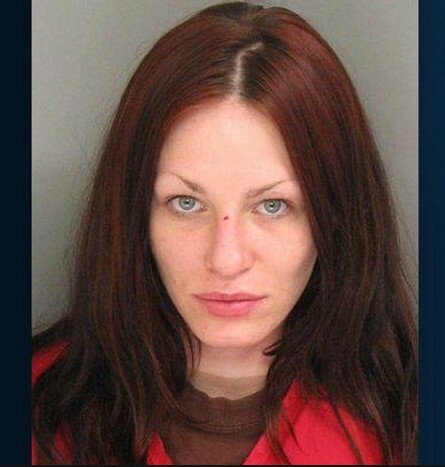 Alix Tichelman, an alleged prostitute has been arrested and charged with the slew of charges including drugs and prostitution after giving a top Google executive heroine and then allegedly watching him die. in the The executives name is Forrest Timothy Hayes and according to numerous sources online he works in wearable devices unit of the company. According to entertainment blog, HollywoodLife.com the two meet at a dating site called SeekingArrangement. SeekingArrangement.com is a hookup site that does not run online dating background checks. This dating site does provide an outside 3rd party services as far as suggesting a service to make sure those who you may meet on the site could be dangerous. Apparently, Alix Tichelman and Mr. Hayes met on this dating site and agreed to go for a cruise on his yacht where she provided him with heroine, after which it is alleged to be on film showing that Mr. Hayes got violently ill and Alix Tichelman is said to have hid the drugs and fled the scene. Could the whole incident have been avoided if Mr. Hayes had known more about the woman’s background? Possibly. Would Mr. Hayes have opted to run a background check if this dating site offered such as an optional secondary service to protect their members and users on the front page versus buried at the bottom of the about page, a page that often times people do not read? Who knows. Obviously these are questions we will never know but here at Online Dating Background Checks we do find it surprising that more people have not been discussing the fact that the two single biggest crime stories that have made national news in the last 4 weeks have both been cases where people were introduced via online dating sites. Yes, the other very recent online dating crime story involved former Wisconsin police officer Steven Zelich who met one of his victims on a dating site as well. More on that story here. This latest online dating crime story just begs the question, when is it time to make sure we require dating sites to give singles more safety options and make them front page options. This is not to say that requiring online dating background checks of all members of any dating site is neccesary but rather suggesting that at least providing 3rd party services and reminding people on dating site dangers before they join; is clearly a good idea. ABOUT US: DateCheckout.com aka OnlineDatingBackgroundChecks.com is an independent provider of low cost, immediate, fast online dating background checks. We work with dating sites to provide a option for dating site to refer their members to. This is makes it completely optional for members to use the outside service rather than running background checks on members when a member joins. We also report on online dating safety laws state-by-state. Find more on that here.